Smartphones are getting bigger and bigger and thus it becomes quite hard to reach menu items in the upper-left corner. 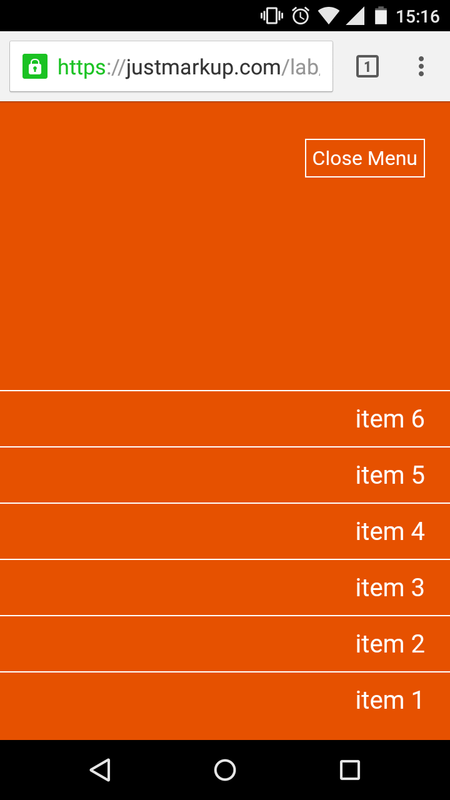 Thus, I made an wrapper around the menu list and set it to position: fixed (yes, this is dangerous on some devices but with the CTM technique above this only applies to browsers where support is good enough). Next, I set the menu list to position: absolute and position it down in the right corner. This way all the items are reachable quite easily with one thumb. While all the items are now aligned at the bottom, the most important items (usually first in order) are still at the top. To change it, I used this technique to reverse the order of the items and, therefore, show the most important item at the very bottom. Here is the demo and you can find all the demo files on Github. If you find any bug please open an issue on Github.